Science opens the door for humans to reach God-like powers of creation and destruction. A secret Russian mind research laboratory erupts, annihilating thousands and leaving a monstrous, one-mile deep crater in its wake. Beau Walker, a psychologist and reluctant empath, is coerced into joining a research project, code-named SHIVA, to investigate the catastrophe. An ordinary scientific investigation leads Walker and the research team into alternate realities. Walker struggles against political and military deceptions, deadly superhuman adversaries, and personal demons to unlock the riddle of the SHIVA syndrome, risking his life and the very existence of humankind. 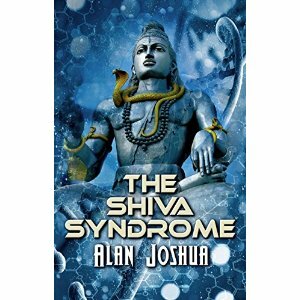 The SHIVA Syndrome offers a dizzying ride into extraordinary human abilities. Prepare to alter what you believed was reality. The beginning of this story drew me in right away with its intrigue and secret places. It was interesting and the writing was tight. Portions of the story were excellent and I had every hope it would continue that way. In my opinion, it didn’t. I can’t remember the first time in the book that I was jerked out of the suspension of disbelief, but I do recall at approximately the 82% mark on the e-file that things became far too simple, intelligent people all of a sudden didn’t think of the consequences of their actions, etc. I read to the end of the book, but it really lost me at that point. The first half or so of the story was interesting and it was apparent that the author is educated, had done his research and was knowledgeable about his topics. It was the plot devices that threw me and made it hard to finish the book or care what happened to the characters in the end. Plenty of science, but a bit too much religion for my taste. I did learn a lot about Santeria, both from the book and my own research into it afterward. I was curious to see an academic explanation of the religion aside from just the fictional one as I knew nothing about it. There were some interesting elements in this story. I was very interested in the actual science portion of the story and was even in for the psychic powers that various characters exhibited, but all of it wrapped together with religion was a bit disappointing. I guess I was hoping for a more scientific explanation in the end. I did come across some minor editing errors, but not too many. The writing was well done and I hope to see other stories from this author in the future.